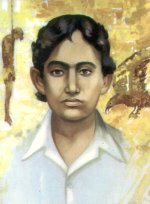 Khudiram Bose (1889-1908) was an Indian freedom fighter, one of the youngest revolutionaries early in the Indian independence movement. Bose was born on 3rd December 1889 in the village Bahuvaini in Medinipur district of Bengal. 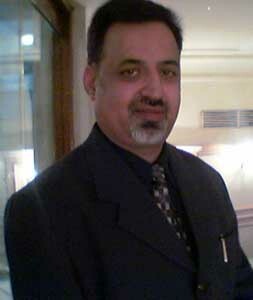 His father Trailokyanath Basu was the Tahsildar of the town of the Nadazol prince. His mother Lakshmipriya Devi was a pious lady, who was well known for her virtuous life and generosity. Bose was inspired by his readings of the Bhagavad Gita, which helped him embrace revolutionary activities aimed at ending the British Raj. He was especially disillusioned with the British following the partition of Bengal conflagration in 1909.He joined Jugantar - the party of revolutionary activists. Then appeared a boy of sixteen with a bundle of handbills; he was distributing them to the people. The handbill bore the title 'Sonar Bangla'. It carried the slogan Vande Mataram'. In addition, the true purpose of the British in putting up the exhibition was also exposed.The various forms of British injustice and tyranny were also explained. Among the visitors to the exhibition, there were a few loyal to the King of England. They were opposed to the persons who exposed the injustice of the British. Words like Vande Mataram', 'Swatantrya' (freedom) and 'Swarajya' (self-rule) were like pins and needles to them. They tried to prevent the boy from distributing the handbills. Their eyes red with anger, they glared at the boy, rebuked him and frightened him. But ignoring them the boy calmly went on distributing the handbills. When some people tried to capture him, he smartly escaped. At last a policeman caught hold of the boy's hand. He pulled at the bundle of handbills. But to catch the boy was not so easy. He jerked free his hand. Then he swung the arm and powerfully struck the nose of the policeman. Again he took possession of the handbills, and said, "Take care, don't touch my body! I will see how you can arrest me without a warrant." The policeman who had received the blow rushed forward again; but the boy was not there. He had disappeared in the midst of the crowd. As the people burst into cries Vande Mataram' the police and t loyal to the King were filled with wonder and also felt humiliated. At the nascent age of sixteen, Bose was defying police after planting bombs near police stations and targeting government officials. He was arrested three years later on charges of conducting a series of bomb attacks.The specific bombing for which he was sentenced to death resulted in the deaths of 3 unrelated innocents: Mrs Kennedy, her daughter and a servant. Khudiram and Prafulla Chaki were sent to Muzaffarpur, Bihar to assassinate Kingsford, the Calcutta Presidency Magistrate, and later, magistrate of Muzaffarpur, Bihar. On this Muzaffarpur bombing and other charges of bombings carried out by him, a pretence of trial was carried out for two months. 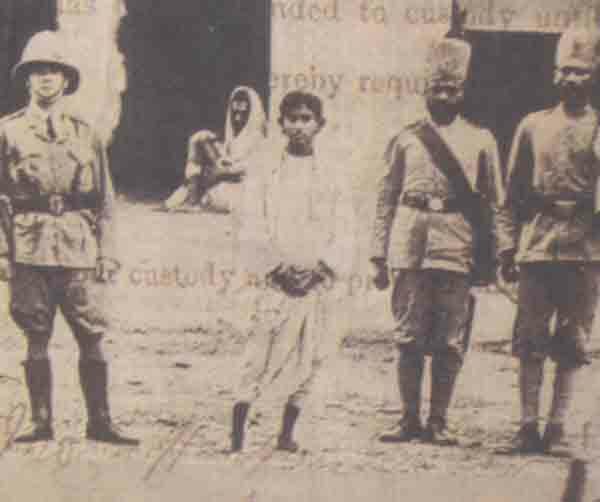 In the end, he was sentenced to death at a tender age of 19.He was hanged on 11 August 1908. Anurupadevi looked after Khudiram with the affection of a mother. She wanted her younger brother to be highly educated, get a high post and to make a name. She therefore admitted him to a nearby school. It was not that Khudiram could not learn. He was smart and could grasp things easily. But he could not be attentive to the lessons in his class. Though his teachers shouted at the top of their voice, he did not hear the lessons. Thoughts entirely unrelated to the lessons were revolving in his head. All day the boy was engaged in these thoughts. Thus oven when he opened a book to read, he would see a red-faced, green-eyed, glaring Englishman. Even when he was eating, the same recollection haunted him. And the memory brought a strange pain in the heart. Both his sister and his brother-in-law wondered what troubled the boy. They thought that the memory of his mother troubled him, and treated him with greater affection.But Khudiram was unhappy about Mother India. His anguish grew day by day. Even after his transfer to Muzaffarpur, Kingsford would-not ends his cruel acts. In 1908, the revolutionaries made a plan to kill him. In the first week of April,the revolutionaries of the Jugantar group held a meeting at a house in Calcutta. They were to discuss how to – punish Kingsford who had treated Sushil so unjustly and harshly. Aravinda Ghosh, Subodh Mallik, Charudatta and others were present at the meeting. It was decided that Kingsford should be shot dead. But their leader was worried about the choice of a person to do this. Some were eager to accept the task. But the leader did not wish to select any one of them. All of a sudden the leader's eye fell on Khudiram who was sitting in a corner. The glance seemed to ask 'Can you do this?' Khudiram understood it. There was a glow in his eyes. "Can you do this grim work?" The leader now openly asked him. "With your blessings, what is impossible?" Khudiram answered him with a question. "This is not so easy as going to jail. Do you know what will happen, if you are caught?" The leader asked him in a tone of warning. Khudiram said calmly but firmly, 1know. At the worst they can hang me. Master, I take it as a boon. Bharat Mata is my father, mother and all.To give up my life for her is, I consider, an act of merit. My sole desire is only this. Till our country wins freedom, I will be born here again and again, and sacrifice my life." "Is that so? I am very glad. Get ready for the journey. Profulla Chaki will go with you," the leader said. Profullakumar Chaki, quite sturdy and of about the same age as Khudiram, stood near him.Profulla was a native of Rangapur of East Bengal. At the time of the partition of Bengal, he had walked out of school with eighty boys, all shouting Vande Mataram'! The leader of the revolutionaries gave each of the boys, Khudiram and Profulla, two revolvers, a bomb and a little money, and sent them with his blessings. They set out full of zest to end the life of Kingsford. Khudiram not only himself became immortal, but also inspired others by his sacrifice to become immortal. In course of time, thousands of young men and women followed in his footsteps and enbed the British regime in India. 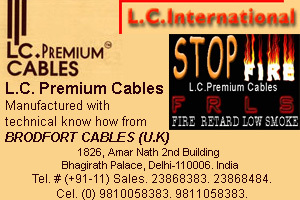 While Kingsford had to quit his post, the British had to quit India itself.